“… Thank you for sending the Reading and Writing book. I apologize for not contacting you sooner about this resource, but I have been traveling much of the month. The book looks excellent and I will present it to the Kidmia Education committee and the rest of the team at a meeting this Saturday. I want to express how pleased we have been with your software product. It has allowed us to develop and implement Kidmia lesson plans. I have been using the software in the classroom and parents find this to be a valuable resource for homework. We hope you will consider visiting us in Texas so you can see your product in use. Please let me know a time when you might be able to schedule a trip so I can inform our Education Committee accordingly. 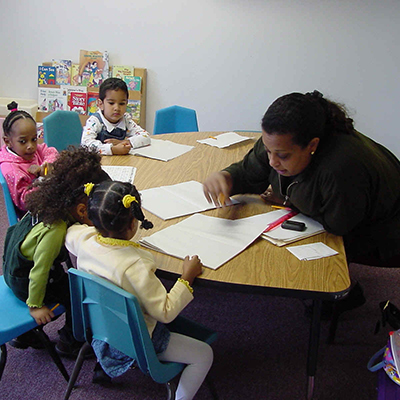 As you know, Kidmia was formed in 1999 by Ethiopian-born parents in Fort Worth and Arlington, with the goal of educating their children about Ethiopian history, culture, and language. Since 1999, more than 30 children have been involved in Kidmia’s programs, participating in a variety of educational and recreational activities that emphasize their Ethiopian heritage, as well as their American citizenship. These first generation Americans are members of two cultures, and it is important for them to understand the basic Ethiopian values, traditions, as well as the country’s language and history so that they have an appreciation for their cultural roots. Currently, there are four different levels of the Kidmia education program. Classes include writing, reading, and cultural heritage. Special events and activities also take place throughout the year that reinforce the class work and build camaraderie among the students.